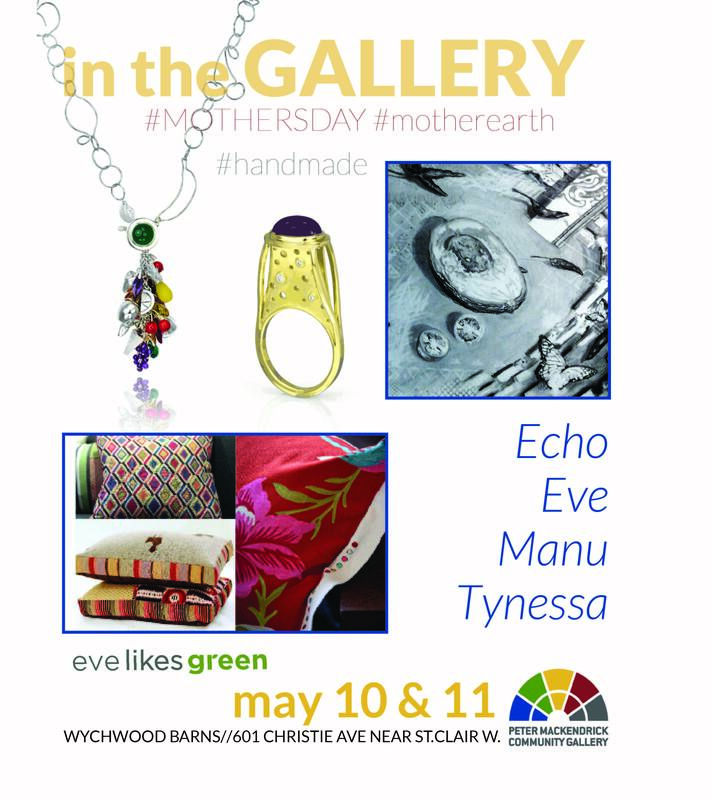 Echo rents the Community Gallery at the Wychwood Barns in Toronto twice a year. This keeps deadlines on her calendar and makes sure that she is cranking out new work. Often she invites local artists to show with her to make new connections, share the rent, and provide opportunities for them to also sell work. This site has a farmers market, dog park, and playground so traffic is steady and she’s had good luck with sales. 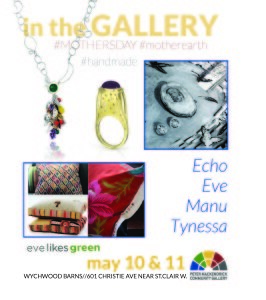 Echo coordinated a group show May 10th and 11th with a Goldsmith, a documentary filmmaker, and an interior designer.